There are a gazillion different varieties of cheese and each of us tends to have our favorites. Personally, I’ve never actually met a cheese I didn’t like! From soft gooey cheese, to blue veined cheeses, to sharp cheddars, I never tire of trying new and different varieties from the cheese shop. When I wrote a post on *How to Make Caesar Salad* I used parmesan cheese. 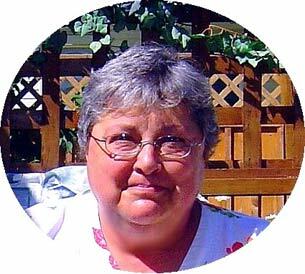 Beth Best from Calgary, Alberta added a wonderful comment to that blogpost about using Asiago cheese instead of parmesan cheese. “Ross and I first tasted Asiago cheese on top of a great Caesar salad at our local Joey Tomato’s restaurant in Calgary. We love the place because the smell of fresh garlic greets you as you enter and the fresh tomatoes and basil and peppers are all visible when you pass the front pizza ovens. The first time we tasted it – we knew it wasn’t parmesan and we enquired from our server. We got the full story on ASIAGO from him and we’ve purchased it for our home made salads ever since. A little goes a long way and it is very distinctive. 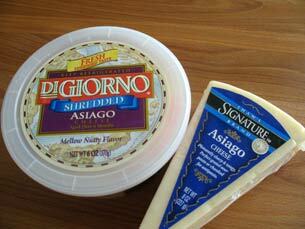 ASIAGO is a semi-hard table cheese, easily shredded into your favorite recipes. Along with a pronounced nut-like flavor, fresh Asiago has a taste that is semi-sweet. Because of this, it is also good when used in a sandwich. It has a sharp flavor that resembles Parmesan and Cheddar cheese combined and, because of this, is also popularly used as an ingredient in omelets and sauces. Asiago is most commonly used as a grating cheese to serve over pastas, salads, soups, appetizers, and gravies. The longer Asiago has aged, the firmer its texture and the stronger its flavor becomes. I hope everyone found this to be as helpful as I did. For additional info on Asiago cheese click here. I’m looking for the old Frigo Cheese Co. aged Asiago. I used to buy it from Frigo in Iron Mountain Michigan. My family bought Asiago from them for years. Now I can no longer find a good aged Asiago. Help….Has the Frigo Cheese Co. gone out of business? If Not where can I buy Frigo aged Asiago? I, too, would like to know where to buy Frigo Brothers asiago. We started buying it from Frigo by the 18 lb wheel in 1962. Quite a few years ago the brothers died and the kids evidently wanted the money but not the work and they sold the business to Stella. I think Stella still markets something they call asiago but it sure ain’t Frigo Brothers. Sorry about your dilemma! Have you tried contacting the company and asking what’s up?